Sedo Weekly Sales Chart for domain name sales from Jun 5 to Jun 11 2018. 74 domain names sold this week for the total price of ~$613 538 USD. 58 dot com sales, 8 ccTLD sales and 8 other TLD sales. Strong week for Sedo domain name sales. A ccTLD Feed.co is leading the dot com Sedo Weekly Sales Chart with a sale price of $85 000 USD. Second place is for a dot com domain name SportLine.com with a sale price of $50 000 USD. Third place is for UsCoin.com with a sale price of $34 888 USD. Another crypto related domain name. Looks like the madness about crypto domains is gone, but every week we see 1 or 2 strong sales for crypto or block chain related domain names. 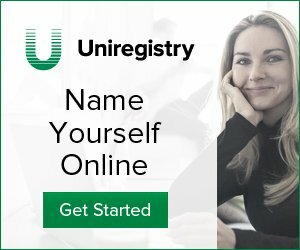 Previous story GoDaddy still offers Privacy Protect to EU customers?